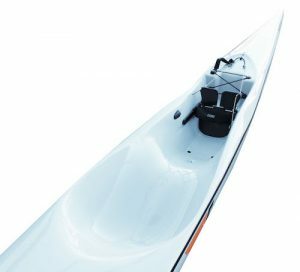 The all new Swordfish S offers the stability, surf ability and speed of the original Swordfish but now has added comfort and a more efficient paddling position. Regarded as an intermediate boat the Swordfish S is one of the few in this class that can easily be raced at an elite level. The Swordfish S offers amazing downwind surfing ability, and is the next step up from the Fenn XT or for those looking for greater speed and a new challenge. The all new ‘S’ seat in the Fenn range has been a huge success. Over the last few months we have seen large numbers of paddlers making the transition to the Fenn’s. Apart from exception speed and stability and the response and surf ability of the boats, we believe its the new seat and footwell setup that has been popular. As you can see considerable changes to the top of the boat while retaining the winning hallmarks of the Fenn’s on the hull. You gotta try one today! Fenn have moved away from the traditional hand laid fibre​glass construction. Fenn now vacuum bag all layups which gives a consistent weight and even spread of resin throughout the ski. Another benefit of the Poly Vac construction is the boats a slightly stiffer and generally lighter than the hand laid option. The glass vac layup is a lightweight version of the poly vac layup. This construction give the paddler a light weight version of an affordable boat.